Although, user accounts are not required for looking up property taxes, there are many advantages to signing up. You can retrieve your latest searches, add private notes to properties, make online payments, view previous online payments and much more. If you have not signed up, you can do so by clicking on the Sign Up link. The Login link at the top and My Account link on the left will also allow you to sign up. See additional information on creating a user account here. Our login credentials are based on a user name and password. 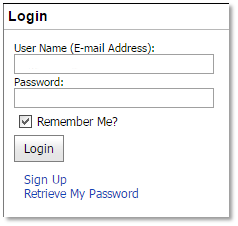 If your account transferred from our previous website, your login name is your e-mail address. The SBC Online Property Tax System is a FREE service provided to assist property owners and tax service agents in obtaining accurate Santa Barbara County property tax information. There is no cost to setup an account, search for properties and print installments. Why do we charge a convenience fee to process payments? The County of Santa Barbara does not profit from payment convenience fees. The convenience fee is equal to the credit card and e-check processing fees charged by the payment vendor. All commercial credit card merchants pay these fees, but commercial merchants can increase the price of goods and services to cover these fees. Merchants typically charge the same prices for credit card, check and cash payments. The County of Santa Barbara cannot raise property taxes to cover these fees nor can we absorb the cost. In order to offer you this convenience, we must pass on the convenience fees to the taxpayer. We have worked diligently to provide the lowest possible fees.